Despite the fact that the origin of software agent systems has been rooted in autonomous artificial intelligence and cognitive psychology, their implementations are still based on conventional imperative computing techniques rather than autonomous computational intelligence. 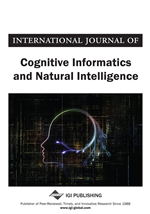 This paper presents a cognitive informatics perspective on autonomous agent systems (AAS’s). A hierarchical reference model of AAS’s is developed, which reveals that an autonomous agent possesses intelligent behaviors at three layers known as those of imperative, autonomic, and autonomous from the bottom up. The theoretical framework of AAS’s is described from the facets of cognitive informatics, computational intelligence, and denotational mathematics. According to Wang’s abstract intelligence theory, an autonomous software agent is supposed to be called as an intelligent-ware, shortly, an intelware, parallel to hardware and software in computing, information science, and artificial intelligence.